January 27 (Bloomberg) -- Mongolia's dollar bonds and currency sank to record lows this month as a slide in commodity prices and a dispute with Rio Tinto Group over developing one of the world's largest copper and gold mines kept foreign investors away. The yield on sovereign notes due January 2018 surged 190 basis points, or 1.90 percentage points, from Dec. 31 to an unprecedented 9.79 percent on Jan. 21 and was at 8.78 percent as of 9:54 a.m. in Hong Kong Tuesday, data compiled by Bloomberg show. The tugrik has weakened 2.8 percent to 1,942 a dollar in January and reached an all-time low of 1,944 on Jan. 22. The drop in commodity prices is adding to the woes of the resource-dependent economy, where growth has slowed to about 7 percent from 17.5 percent in 2011 and overseas investment plunged 71 percent in the first 11 months of 2014. The lack of progress in talks between the government and Rio, Mongolia's top investor, has held up funding for the Oyu Tolgoi mine's underground phase, where most of the copper and gold is. "Policy indecision around Oyu Tolgoi phase two is likely weighing on Mongolian bond prices," Nick Cousyn, Chief Operating Officer of Mongolian brokerage BDSec in Ulaanbaatar, said in an e-mail. "The collapse in commodity prices, particularly oil, has created a perfect storm in emerging and frontier credit markets, and Mongolian credit is also caught in this storm." Three-month copper futures fell 3.4 percent last week and are down 11 percent this month amid concern that China's economy is slowing. The metal's price has dropped 22 percent in a year, while crude oil has slumped more than 50 percent. China's economy grew 7.4 percent in 2014, the least since 1990. Mongolia's foreign reserves stood at $1.35 billion at the end of November, down 42 percent from a year earlier, according to the central bank's website. The price of Mongolia's 2018 bonds slid to a record low 85.82 cents on the dollar on Jan. 21 from 92.64 at the end of 2014. Dollar notes due December 2022 fell to 78.51 the same day, from 86.47 on Dec. 31, pushing the yield to an unprecedented 9 percent. The Bank of Mongolia raised its policy rate this month to 13 percent from 12 percent, citing high inflation and low foreign investment. In December, the World Bank encouraged the nation to tighten policy and start preparations to repay $1.08 billion of debt due in 2017 and 2018. "The central bank's decision to raise rates also underscores the fragile outlook for Mongolia's balance of payments," Ben Shatil, an analyst at JPMorgan Chase & Co. in Singapore, said by e-mail. "There's recognition that Mongolia's fundamentals are being seriously challenged by the decline in commodity prices, as well as the expectation for slower, and less investment-intensive growth in China this year." JPMorgan recommends holding less Mongolian bonds than the benchmark it uses to gauge performance, according to Shatil. A $4.2 billion project financing package for the underground mine at Oyu Tolgoi, involving 15 global banks, has been delayed as the government and Rio wrangle over costs and taxes. Commercial production from the open pit, which began in mid-2013, is helping to plug a shortfall in foreign investment. An offer from Rio to Mongolia's government aimed at spurring an agreement includes a proposal to forgo a 2 percent net smelter return, which may be worth as much as $1.6 billion over the mine's life, The Australian newspaper reported Jan 27, citing extracts of a document posted online by a Mongolian Twitter user it didn't identify. "There is an offer on the table, which we believe is beneficial for all parties," Rio said in an e-mailed statement. "We will continue to work with the government to progress these issues." Melbourne-based Rio spokesman Ben Mitchell declined to comment on the content of the offer. Mongolia's total copper concentrate exports more than doubled to 1.4 million tons in 2014 from 650,000 tons a year earlier, data from the National Statistical Office show. Revenue from coal fell to $849 million last year from $1.1 billion in 2013 even as the country increased shipments to 19.5 million tons from 18.3 million tons a year. Agreements on Oyu Tolgoi and the Tavan Tolgoi coal deposit could help Mongolia's bonds turnaround, according to Cousyn from BDSec. He estimates the two projects account for $10 billion of capital expenditures in the medium term, or 85 percent of Mongolia's gross domestic product. Mongolia's sovereign dollar bonds have lost 5.2 percent this month compared with a 3.7 percent drop in Nigeria's, according to indexes compiled by Bloomberg. "Unlike countries such as Nigeria or Iraq, Mongolia has ready projects that can quickly shift the entire economy," Cousyn said. January 27 (The Australian) RIO Tinto has offered to abandon a $US1.6 billion ($2bn) royalty it would get from the Oyu Tolgoi copper and gold mine in a bid to end a standoff with the Mongolian government over development of a stalled $US5bn underground expansion needed to unlock most of the deposit's value. But Rio has not heard back from the government on the ­October offer, with a new negotiating team understood not to have been finalised in the wake of a November change of prime minister. In fragments of the offer recently posted by the owner of a Mongolian Twitter account, Rio claims the government will be entitled to more than half the cash flow from the project under the proposed deal. The Australian has verified the document is genuine. Rio is facing writedowns on delayed construction of the second stage of the Oyu Tolgoi, where expansion work was shut down 17 months ago because of a disagreement with the government over fiscal terms. A $US6.5bn open pit is operating, but 80 per cent of the value of the project lies in the underground expansion, on which an extra $US1.3bn has already been spent. In a draft memorandum of understanding given to the Mongolian government, Rio, which operates Oyu Tolgoi, has offered to abandon a "net smelter return" of 2 per cent of the project's revenue. "Turquoise Hill (the Rio subsidiary that owns 66 per cent of the project) and Rio Tinto agree that neither they nor any other party have any further entitlement to receive from Oyu Tolgoi net smelter royalty," the draft MOU said. The smelter royalty has been estimated by Turquoise Hill to be worth $US1.59bn over the mine's 41-year life. Mongolia is a 34 per cent shareholder in the project, so will benefit from the royalty not going to its partner. The landlocked nation of 3 million people wants a better share of the profits from the mine and compensation for cost blowouts and delays on the first stage. Talks have been delayed further by the ousting of the prime minister and subsequent formation of a new cabinet. The draft MOU, which Rio copper chief Jean-Sebastian Jacques in October referred to when he said there was a "deal on the table", appears little changed from an earlier investment agreement that Rio has said needed to be adhered to for it to restart construction of the project. "The share of economic benefits of the Oyu Tolgoi project (under the MOU) are broadly in line with those referred to in the 2010 feasibility study," the draft document said. "The government of Mongolia receives over 53 per cent of the total undiscounted cash flows of the project over the life of the mine (the majority of which will come from taxes and royalties)." Rio chief Sam Walsh has said the company will not be rushed into a deal. In December, CFO Chris Lynch warned more delays on the project could hurt its appeal by making it compete with later projects such as the Resolution copper mine in the US. January 27 (news.mn) Minister of Mongolia M.Enkhsaikhan reported on the progress of the Tavan Tolgoi project. Negotiations on Tavan Tolgoi between the Government of Mongolia and the three-party consortium of China Shenhua Energy Co Ltd of China, Sumitomo Corporation of Japan, and Energy Resources LLC officially began on January 5, and are moving into their second stage. Minister M.Enkhsaikhan stressed that the parties have reached a consolidated ideas on the financial situation and on the issue of building a railway from Tavan Tolgoi to Gashuunsukhait. The Minister emphasized, "Mongolia will not bear financial risk, thus we have asked the investor to elaborate on the draft of the concession agreement. "Our working group has met and discussed all central issues and believe that all issues have been reflected in it. This is the most important point." Representatives of the following organizations have been included in the discussions: Ministry of Mining, Ministry of Foreign Affairs, Ministry of Justice, Ministry of Roads and Transportation, Invest Mongolia Agency, Erdenes Tavan Tolgoi, and Mongolian Railway, participating at a professional level. January 27 (gogo.mn) Tavantolgoi Investors have been announced on January 5th and consortium of Sumitomo Japan, Shenhua China and Energy Resources Mongolia have won the bids, followed by the series of negotiations. First phase of which have focused on current situation, financials and Gashuunsukhait railroad. Parties have reached the mutual understanding. Minister of State M.Enkhsaikhan have reported on the negotiation progress and announced that this week two major meetings are to be conducted involving the extended working groups. How far the negotiations went? 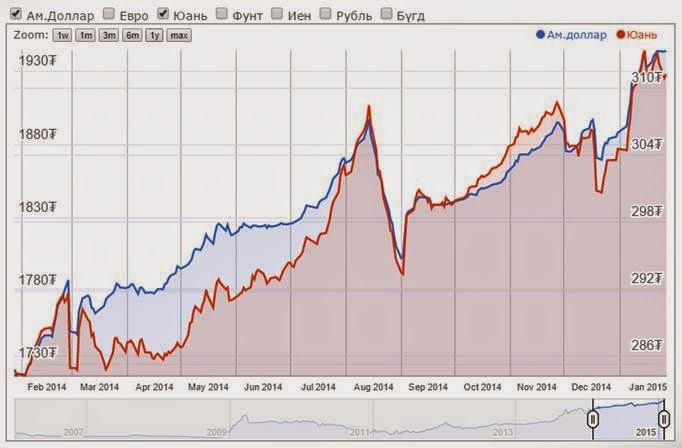 Mongolia is not to bear any financial risks. Therefore, we have proposed the investors to come up with their versions of concession agreements. Mongolian side represented with over 30 officials including Ministers of Mining, Foreign Affairs, Justice, Road and Transportation and Investment Agency have reviewed the initial concession agreement draft and have concluded that it covers all the issues and matters to be concerned of. This is the important result. Basing on the first outcomes we are conducting the second phase of negotiations with extended working groups. We are reporting the negotiations progress to the Government of Mongolia and National Security Council. This is important to have integrated context on mega projects like this one, as it will be the milestone for other projects. How the investments are to be funded? Investors to provide 30 percent of the total investments from their own sources, while remainder 70 percent will be raised from the capital markets involving international banks and financial institutions. Sumitomo is in charge of the main sales therefore is to invest majority. Meaning, Sumitomo will provide about 20-30 percent of the total investments required. What are the issues that have been addressed during the negotiations? Negotiations are half done. We have negotiated on what issues to be covered and what agreements to do. Second phase of the negotiations are focused at coming up with solutions. We are aiming at processing plants for production of the value added products and are linking the railroad projects here as well. There are issues with regulating the relations of State Owned Companies Erdenes Tavantolgoi and Mongolian Railways. On top of investment agreement and railroad concession agreements. What has been agreed so far? Agreement scope is very broad. One agreement covers over 80 issues. It is hard to report on each of them as of now. There are many issues in the investment and concession agreements to comply with Mongolian legislation. Moreover, we are working on fulfilling the investors' requirements and comply to international standards as well. What are the investors' requirements? There are many. We understand that their main focus is on the sustainable and successful implementation of the project. We are representing Government of Mongolia and during the negotiations there are requirements to comply with international standards, as the investors are to raise funds from international capital markets and banks. We have initially agreed on mutually beneficial strategy. This further ensures the transparency and innovation in the talks. Yesterday during the progress reports at the State Great Khural we have briefly introduced on the economic benefits for this project. If the negotiations are successful total investments needed over 30 years are calculated to be at USD 94 billion. The project is sure to have high economic benefits. What is important here, there are many sensitive issues to be discussed during the negotiations. Therefore, second phase negotiations for this week are as well very important. 1072 is not the share that can be transferred over. There are no dividends for those. We are working to make it work. 20 percent of Erdenes Tavantolgoi has been transferred into 1072 shares. Investments are to be directed at debt payments and operations and it is obvious that 1072 shares can be still frozen. We have reported on this matter to the State Great Khural, further we are to solve this issue. Why the investments are to be raised from the financial market? There is possibility to raise funds from the capital markets as well? The project is estimated for at least 30 years and there is no potential investor to invest in Mongolia, as Mongolia is considered as risky in terms of the investments. In this regard, investors usually stay away from such risks. In order to diversify the risks investors seek for the financial markets. We are being positive, but we are not hiding anything. Ulaanbaatar, Mongolia (PRWEB) January 27, 2015 -- Mongolia Holdings, Inc. (OTCQB: "MNHD") is pleased to announce that, through its wholly owned Mongolian subsidiaries HERC, LLC & Equipment Rental, LLC, it has entered into a master loan agreement with XacBank for a $10 million equipment financing transaction (or the equivalent in local currency) for its Hertz Equipment Rental franchise operations in Mongolia. This financing represents the first $10 million tranche of a proposed $40 million line-of-credit arranged by XacBank. "Travis Hamilton said: Anyone not investing in Mongolia now is missing a tremendous opportunity (January 23, 2015)"
XacBank is the flagship company of Tenger Financial Group, XacBank is one of Mongolia's largest banks, serving retail customers, small and medium-sized businesses as well as large corporations. It operates in all 21 provinces and the capital city serving more than 700 thousand customers through its nationwide network of branches. The Bank aims to create a sustainable value for its shareholders and institutional investors, while promoting a triple-bottom line vision and mission built around "Planet, People and Profit." Mongolia Holdings, Inc., CEO Gary Kucher stated: "This culminates over three years of planning, due diligence, hard work and execution. I want to personally thank all of the representatives of XacBank and Hertz, together with our management team, employees and stakeholders, as this completes a truly historic milestone for the Company and a significant corporate financing within Mongolia. This credit facility allows the Company to further execute its business plan, and we anticipate announcing additional progress in the near term. We look forward to working together and forging a longstanding, mutually successful relationship with both Hertz and XacBank that will continue to build value for our stakeholders." Via the capital markets, Mongolia Holdings plans to explore sourcing additional funding to be used for the set-up of its equipment maintenance facilities, build-out of its mobile services vehicles, new employee training and to fund on-going operations. While the Company is confident in realizing its goals, it offers no assurances that it will be successful in obtaining this additional funding. Allen Anderson and Joe Yuen from Peace Field Ltd of Hong Kong served as financial advisors to Mongolia Holdings. Ulaanbaatar, January 26 (MONTSAME) At the Stock Exchange trades on Monday, a total of 1,233 units of eight JSCs were traded costing MNT nine million 508 thousand and 650.00. "Gutal" /800 units/, "Tavantolgoi" /134 units/, "Makh impex" /105 units/, "Baganuur" /97 units/ and "Etrans logistics" /50 units/ were the most actively traded in terms of trading volume, in terms of trading value were "Gutal" (MNT seven million and 688 thousand), "Darkhan nekhii" (MNT 598 thousand and 400), "Tavantolgoi" (MNT 549 thousand and 400), "Makh impex" (MNT 350 thousand and 100) and "Baganuur" (MNT 261 thousand and 900). The total market capitalization was set at MNT one trillion 395 billion 656 million 682 thousand and 192. The Index of Top-20 JSCs was 14,422.71, increasing 1.98 units or 0.01% against the previous day. Ulaanbaatar, January 27 (MONTSAME) At the Stock Exchange trades on Tuesday, a total of 206 thousand and 349 units of 24 JSCs were traded costing MNT 19 billion 618 million 202 thousand and 731.00. "Mongol makh expo" /1,120 units/, "Binse HK" /610 units/, "Gutal" /483 units/, "Makh impex" /419 units/ and "Mongol shevro" /357 units/ were the most actively traded in terms of trading volume, in terms of trading value were "Gutal" (MNT five million and 313 thousand), "Mongol makh expo" (MNT two million 717 thousand and 285), "Makh impex" (MNT one million 403 thousand and 750), "Mongol shevro" (MNT 878 thousand and 800) and "Gobi" (MNT 481 thousand and 910). The total market capitalization was set at MNT one trillion 394 billion 701 million 383 thousand and 173. The Index of Top-20 JSCs was 14,416.40, decreasing 6.31 units or 0.04% against the previous day. January 27 (MSE) On 27 January 2015, 12 weeks Government retail bonds worth MNT20,275,000,000.00 with 14.840% annual interest rate traded successfully on primary market at Mongolian Stock Exchange. January 27 (Bank of Mongolia) On the Foreign Exchange Auction held on January 27th, 2015 the BOM has received bid offer of 0.3 million USD as closing rate of MNT 1944.00 and 14.0 million CNY as closing rate of MNT 310.95-311.21 from local commercial banks. The BOM has not accepted any offer. On January 27th, 2015, The BOM has received MNT Swap agreement bid offer in equivalent to 1.0 million USD from local commercial banks and accepted the offer. January 25 (UB Post) The joint parliamentary session last Friday approved amendments to the 2015 state budget. As MP D.Gankhuyag introduced, the total income of Mongolia's joint budget is estimated at more than 6.6 trillion MNT, which is equivalent to 27.6 percent of GDP, and the total expenditure of the joint budget is forecasted at over 7.8 trillion MNT, equivalent to 32.7 percent of GDP. He also added that budget deficit is 1.2 trillion MNT, which is five percent of GDP. In accordance with the approved 2015 budget amendment, excise tax on petrol and diesel increased by 228 billion MNT, income tax of entities by 60 billion MNT, income of privatization of property by 17.9 billion MNT, and personal income tax grew by 7.3 billion MNT. Moreover, 19.4 billion MNT – the allowance for all mothers who have received the Order of Glorious Motherhood, was additionally allocated to local social welfare funds, 9.1 billion MNT for pregnancy and postpartum allowance, and 13 billion MNT was additionally budgeted for pensions. Also, nearly 34.5 million MNT was added to investment expenses and a project valued at nearly 68.2 million MNT was eliminated from the budget. Ulaanbaatar, January 27 (MONTSAME) A workshop was held Tuesday at the State House to introduce the "Macroeconomic Model -T21" with a aim to improve a development of economic policy of Mongolia. It was developed by Millennium Institute scholars with a support of the United Nations Development Program (UNDP). Present at the event were a head of the Standing committee on economy J.Batsuuri MP, a head of MPP faction S.Byambatsogt MP, a head of DP faction B.Garamgaibaatar MP, the country manager of the UNDP to Mongolia Thomas Erikson, the Millennium Institute director for modeling and analysis Weishuan Chu, along with the project group and policy planning professionals from several Ministries. The head of the Standing committee on economy J.Batsuuri noted in his opening remarks that this model was re-adjusted to the Mongolian economic environment. Mr Byambatsogt informed the gathered that a working group has been set up for developing Mongolia's long-term development policies and strategies and that the group is led by the heads of parliamentary factions of three main political parties. Also, a sub-group is operating for over a year now at the National Development Institute, collaborating with the State secretaries of related Ministries, he said. The parliament member emphasized that the focus should be given to the coherence and efficiency of these groups' activities. The introduction of the T21-model for Mongolia was made by Mr Weishuan Chu. This model has been facilitated with economic, social and environmental assumptions, with a strict coherence, he said. The model is for a use when developing budget estimations and other short- and medium-term plans, and has been introduced to Mongolia in 2012. "The T21 is utilized in over 40 countries for their medium- and long-term planning," he added. January 21 (The Economist Intelligence Unit) The new government is hoping to reverse a trend of stagnating economic growth and plummeting foreign investment by opening up new opportunities for natural resource exploration. It also hopes to put the country's public finances back on a more sustainable track. Yet these intentions will be complicated by the country's track record of resource nationalism and weak political resolve. The hole that Mongolia must dig itself out of is already deep. Foreign direct investment (FDI) contracted sharply in 2014, falling to US$582.4m in January-November, down from US$2bn in the same period of 2013. Foreign reserves stood at US$1.4bn at end-November 2014, equivalent to just 3.4 months of average imports over the last 12 months. The country's currency also collapsed against the US dollar in 2014, standing at Tg1,937:US$1 as at January 19th 2015, compared with Tg1,712:US$1 a year earlier. Mongolian banks face a mounting threat from bad debts as economic growth slows. Although Mongolia's economic stagnation is partly caused by a cyclical dip in global commodity prices, much of the damage has been self-inflicted. In the past decade, the government has favoured spendthrift public spending policies, habitually exceeding its own fiscal restraints. It has also antagonised foreign investors with mercurial changes to the regulatory environment, particularly for mining. Mongolia's government took on large amounts of debt in recent years in order to finance infrastructure investments to support the country's mining boom. That debt will have to be repaid or refinanced when it falls due. Medium-term concerns will be focused on the US$500m of sovereign bonds that fall due in 2018 (Mogi: late 2017, no? ), and the sovereign-backed US$580m of debt owed by the Development Bank of Mongolia that matures in 2017. The government has secured a swap facility from the Chinese authorities and the merchandise trade account has returned to surplus, but without additional resources the government will struggle to repay its foreign-currency debts. Fortunately, there is a short window between the present and the first big repayment dates that offers the new government a window to put its house in order again. The government's main approach has been to seek a fresh start with foreign investors. In particular, policymakers are trying to entice new foreign participation in the mining sector. The Ministry of Mining will open an additional 10.1m ha of territory for mining exploration in 2015, with applications for exploration licences being accepted from January 26th, according to a report by a UK-based newswire service, Reuters, published on January 16th. However, it will probably take a more sustained record of policy consistency toward foreign investment to convince investors to return in greater numbers, particularly as several major disputes with foreign enterprises remain unresolved. The issue of 106 mining licences that were cancelled as part of a corruption investigation in 2013 has not been fully cleared up. Meanwhile, a long-standing row over the next-phase expansion of the country's biggest mine, Oyu Tolgoi, remains unsettled. Despite repeated government assurances that a deal can be hammered out, the authorities have failed to reach a deal with the mine's operator, global mining giant Rio Tinto. Many of the mining firms that were formerly keen to invest have in any case become more lukewarm as demand growth in China has cooled and global mineral prices have weakened. This is almost certainly part of the reason why Rio Tinto has remained reluctant to commit to the expansion. Progress on addressing the knotty challenges that the economy is facing has been delayed by protracted political wrangling. Since the then prime minister, Norov Altankhuyag, was ousted from power on November 5th, the subsequent coalition government's efforts have mainly been focused on unravelling his accomplishments. It has reversed a much-needed streamlining of government ministries, replacing it with a softened version that will be less effective in reining in the bureaucracy. The outcome of the row over the reform of the ministries will reinforce doubts over the government's commitment to budgetary discipline. Despite its initial pledge not to increase the national debt, the coalition government looks set to amend laws on budget sustainability to raise the public debt ceiling to 70% of GDP, up from a previous cap of 50%. The issues of fiscal sustainability and external imbalance are linked. Mongolia's high propensity to import means that fiscal recklessness tends to push up imports. It also stokes inflation, which makes Mongolia's export industries (including mining) less competitive or prompt destabilising bouts of currency depreciation that again discourage inward investment. If the government is to win back the confidence of foreign investors it will have to show not only that it is adopting a more sensible line on mining regulation, but also a more mature approach to policymaking all round. The global economy sputtered to 2014's end with slightly less economic growth than predicted at the year's outset. Though the US economy has revived and continues its trending rise, developing countries, Russia, China, and Europe had an unexpectedly low performing year. Expectations for 2015 remain positive, however, with world economic growth projected at 2.2 percent; at 3 percent for the US, 1.4 percent for the Eurozone, and 7 percent for China. While worldwide economic performance forecasts for 2015 are now lower than projections done in early 2014, according to the World Bank, the IMF, and other prognosticators, the current sharp price fall of petroleum products may end up having a generally positive effect on the global economic situation in 2015. Throughout 2014, the government continued to delay negotiations regarding the costly underground expansion financing of Oyu Tolgoi—a multi-billion dollar megaproject and Mongolia's most important economic contributor for the foreseeable future—deepening the country's economic vulnerability. The year ended with a combined GDP growth forecasted to be a relatively disappointing 6.5 percent. The US dollar closed at the highest level of appreciation at the end of 2014. The internal flow of dollars were unable to rise decent levels due to flat export prices on the world market, and the continuing fall in foreign direct investment. Nevertheless, increased copper exports and declining imports offers the foreign trade balance an opportunity to achieve a positive balance. Inflation, accelerating off and on throughout 2014, is forecasted to have reached 12 percent for the year, due to drops in business activities and market demand, and compounded by a tightened Mongol Bank monetary policy that began in the second quarter in order to curb inflation and stabilize the currency. There are several factors affecting Mongolia's economic outlook throughout the coming year. Political instability in 2014 placed a heavy burden on the business sector, by wasting time, delaying decision making on key issues, and postponing financing. This year's economic performance depends on how consistently Prime Minister Ch.Saikhanbileg's newly established 'Solution' government can function, and on what decisive measures they will take to tackle the current economic difficulties. So far, the current market and the confidence of investors seem only to have weakened. Meanwhile, Oyu Tolgoi's underground expansion funding is still on hold, resulting in innumerable direct and indirect economic consequences that prevent any rise in investor confidence. Despite the emergence of positive change, such as in the legal environment and tax regime, investors still wait for an Oyu Tolgoi solution and continue to invest their money elsewhere. In the financial sector, the quality of loans and liquidity injection measures of banks and financial institutions may face complications, which if allowed to linger would have a longer-term negative effect on the economy. Any potential challenges or problems would be compounded by the continuing decline of global commodity prices, from a worldwide slackening demand that can be mostly traced back to China. In addition, Russian, regional and international geopolitical instability might pose major risks. An examination of the basic situational and political factors that influence Mongolia's economy shows that performance is likely to be bad in 2015. Current economic indicators appear weak, and the opportunity to change is barely visible through the country's murky and bogged-down reality. The states of the current account deficit, liquidity injection and budget gathering, financial sector environment and currency are expected to remain on the negative side. Whereas economic growth in 2013 and 2014 was fuelled by government bonds, that type of financial resource and money flow won't even provide a spark in 2015. In addition, all government investment orientated money was cut from the state budget for this year. The cumulative effect reduces GDP growth forecasts to 5 percent in 2015, the lowest figure since 2009. And that's if the issues holding up the Oyu Tolgoi and Tavan Tolgoi megaprojects are solved. If not, growth drops to the world average, somewhere between 2 and 3 percent. Inflation will rise, affected on the supply side, driven in particular by factors related to currency depreciation, while demand side factors are expected to have a minimal influence. In other words, investment and purchase demands will drop in an environment where the unemployment rate is rising high and consumers' expectations remain negative, business activation is weakening, and wages and revenues cannot rise. If Mongol Bank undertakes quantitative easing—buying financial assets, lowering their yield, while increasing the monetary base—and supplies the market with money, the inflation rate will rapidly escalate. In any case, the inflation rate will likely exceed Mongol Bank's targeted rate of no more than 7 percent. In terms of foreign trade, although Mongolia's exports are expected to grow, particularly copper, it is still hard for revenue to rise, as export prices are unlikely to increase in the world market. This may not be such a dire problem, as import levels should drop slightly and remain stable, from weakened business and consumption demand. There should be enough room to keep the USD exchange rate from sharp rises. But bad loans, particularly home loans and loans in USD, are of such a poor quality and quantity that they will have an increasingly negative effect. Ulaanbaatar, Jan 26 (GoGo Mongolia) Plenary session of the Parliament has discussed the proposed amendments in Mongolian Government law, Civil Service law, Public and Private Interest Regulation at Public Services law, Science and Technology law and Anti-Corruption law. The initial discussions on those amendments were introduced. One of the most discussed proposals were regarding the change of the deputy ministerial positions submitted by MPs B.Bolor, S.Ganbaatar, L.Erdenechimeg and B.Choijilsuren in order to cut the spending of the Cabinet, where at the initial discussion was approved by the majority of the MPs, but was transferred to Standing Committee due to the conflicts in the Government law. Standing committee discussed on the two amendments to be done to the law to eliminate the position of deputy ministers, but the majority of the members declined the amendments. Plenary session in the afternoon discussed the new submission of the Standing committee with the attendance of 46 members and 35 members or 76.1 percent have agreed on declining the proposal to cut the deputy ministerial positions. Therefore, annulling the previous votes held on Thursday January 22nd, saving the deputy minister positions at the cabinet. January 22 (news.mn) A working group to elaborate on the draft law to make amendments to the Constitution of Mongolia was established according to an order from the Head of Parliament, and a meeting of the working group was organized today. The working group consists of Members of Parliament including L.Bold, L Tsog, N.Batbayar, R.Gobchigdorj, S.Bayartsogt, D.Lundeejantsan, D.Demberel, S.Oyun, and N.Battsetseg. Two years ago, a working group to study whether there was a need to amend the Constitution of Mongolia was established, according to an order from the Head of Parliament. The working group was headed by Deputy Director of the Parliament L.Tsog. The working group consisted of scholars and researchers, and reached the conclusion that there was a need to make amendments only to some parts of the constitution, and delivered this proposal to several unions and political parties. According to the views of the Members of Parliament in the current working group, there is a vital need to correct seven amendments made to the Constitution of Mongolia in 2000. January 26 (UB Post) Director of the Agency for Fair Competition and Consumer Protection (AFCCP), T.Ayursaikhan, held a meeting with journalists for the first time since his appointment and reported on ongoing inspections focused on ensuring consumer rights. The AFCCP filed a lawsuit against the Energy Regulatory Commission (ERC) of Mongolia for rejecting the proposal to charge six companies with a 189 million MNT fine for raising electricity rates last year without notifying the AFCCP, defying regulations. Power distribution companies are obliged to report electricity rate increases to the AFCCP before they become effective. The ERC reported changes the last time they raised rates in July 2013, however, they increased rates three times last year without giving the AFCCP any prior notice, which pushed the agency to impose a fine. The AFCCP also filed a lawsuit against construction companies which sold apartments that were smaller than they were reported to be. Over 70 companies were found to have been overcharging their customers in a similar way, which resulted in approximately 3.5 billion MNT in losses to apartment buyers. The companies have issued compensated of 1.5 billion MNT to the victims of fraud so far, while the remaining compensation will be repaid after the court has announced its final trial decisions. Of the 3.5 billion MNT in damages, 1.5 billion MNT is attributed to three major construction companies. The AFCCP's inspection of apartment buildings came following over 700 complaints to the agency regarding overcharging. The agency's lawsuit against administrators of the National Circus for using the building for inappropriate purposes has been taken to court. The AFCCP reported that the circus was first privatized on the condition that the original purpose of the building would remain in place after privatization. However, the recent launch of a night club attached to the circus and the reduced number of circus performances has resulted in public opposition. The agency proposed to the State Property Committee the annulment of the privatization and returning the building's ownership to the state as a result of the illegal operations. The AFCCP later requested a court trial for the case, as it hasn't received a reply from the committee. A trial was held for AFCCP allegations against local commercial banks charging illegal service fees equal to one percent of loans taken out by bank customers. Administrators of 13 banks opposed the allegations and submitted a complaint to the court, which later found the banks guilty on December 25, 2014. The court ruled that customers who took out loans within the last three years be free to request compensation for the service fees, but bank administrators have opposed the ruling and report that they will file for an appeal. Following the decision, commercial banks will soon have to lower their loan service fees. "It is certain that commercial banks will appeal the court decision. If the Supreme Court confirms that charging one percent of each provided loan is illegal, customers will be able to receive a refund of the fees paid," said T.Ayursaikhan. Several other banks have been inspected by the AFCCP, as residents complained that some banks are violating the Competition Law. The inspection revealed that the annual profit of some commercial banks was between 25 to 30 percent, while it should range between 10 to 15 percent, according to international standards in the banking market. If profits are less than ten percent, it results in deficits for banks, and if profits are above 15 percent, it causes financial damage to customers. The average annual profit is 25 to 30 percent, or 80 to 100 billion MNT, in Mongolia. The inspections are not complete yet and the results of investigation of normal profits have yet to be officially announced. Companies received soft loans in the scope of the price stabilization policy. The agency is to conduct assessments on soft loan use and its adherence to the laws. Electricity distribution entities have monopoly status. Those entities should receive permission from the agency on increase of prices by the law. In 2013 it increased prices with our permission, but 2014 prices were not negotiated with us. Therefore six electricity distributing entities were imposed fine of MNT 189 million and the price increase resolution was annulled. Those entities have appealed to the court and the court hearing is in progress. The same situation occurs with Heating Plants as well. Therefore, we are to conduct studies on the status of those, which in turn will clarify their market position and possibly resolve the issues between the agency and heating plants. Prices for oil on international market have declined significantly from USD 740 per ton to USD 340-360, but the fuel price on domestic market is remaining the same and the public has logical expectation for the fuel prices to be reduced, as Mongolia is dependent on oil imports. Moreover, fuel importing companies received subsidies from the state as well in the scope of price stabilization program. The agency is to hold monitoring on operations of those. According to the Government Resolution on downsizing 15 percent of the human resources agency has eliminated 15 positions and currently employs 36 employees. Moreover, defaults at internal operations are to be eliminated and improved to better serve the public. Many complaints were received at the agency regarding the double fees at the banks labeled as operational cost fees. The case was appealed at the court the initial hearing ruled in favor of the agency claims. The verdicts have been delivered to arguing banks. If the banks are to appeal again the court hearings are to continue, otherwise banks may have to pay back the fees. Due to the high profits at banks citizens and clients are claiming that it is unfair for them to bear the operational costs. According to the average profits of the banks abroad range at 10-15 percent, while Mongolian commercial banks ROE range higher than 25-30 percent with annual revenues reaching MNT 80-100 billion. According to the law the agency does not have the rights to intervene to the prices of the individuals. Also meat processing involves four stages and we do understand that entities employ huma resources there. We are conducting studies on possibilites to reducie the meat prices. Agency is working on annulling the privatization of the circus to the State Property Committee. But as long as the State Property Committee hasn't responded to our demands we are appealing at court for the annulment. January 22 (news.mn) In order to reflect industry issues from a scientific point of view for a state policy document on industrial development, Minister of Industry D.Erdenebat met with scientists yesterday. Previously, this kind of meeting has been organized with members of professional associations of each sector. As noted by the Minister, the state policy document on industrial development is being reviewed and will be submitted for discussion in a government session next week. As stated and reflected in the state policy document on industrial development, the industrial sector should first of all rely on state support, science and scientific study, and the private sector, with export orientation as a leading agenda to develop technology and for the production sector to be able to compete on the global market. Development of national industry is a priority issue and regulations and the coordination of trade should be put in place for the development of national industry. As reflected in the policy document, the production sector should be developed in three stages: 2015 to 2020, 2020 to 2025, and 2025 to 2030. Many past discussions have raised the issue of how to develop the industrial sector, but little progress has been made because it was not clear how to launch development. Minister D.Erdenebat noted that the opinions of scientists and researchers are very important, as it is very important to settle geopolitical issues and the issue of economic dependence. The scientists noted, "Previously, industrial policy hasn't been approved as state policy in an independent way, and always have been put aside. "Thanks to the establishment of an independent ministry, now we will have a policy on industrial development and works to be implemented in the middle and long terms have became certain, so as a result, a lot of changes and renovations can be further made. "On the other hand, in order to prepare skillful personnel and specialists, we need close co-operation with the Ministry of Education and Science. The industrial sector can be developed rapidly only with skillful personnel and specialists. Frankly speaking, there are no skilled personnel in the industrial sector. Therefore, we should, according to the policy, put as much attention on the issue of the preparation of skilled personnel." At the end of the meeting, Minister D.Erdenebat emphasized, "The most important reliance and support for the development of the industrial sector is our scientists and researchers. By reflecting your opinions in the industrial policy document, it can be submitted for the discussion to the government session and submitted for approval by the Parliament." January 27 (gogo.mn) Court General Council introduced the new application for smart phone that includes the court rulings during the monthly Open Court press conference. Court General Council has been open for the public with their shuukh.mn website, which displays the court rulings and decisions in order to help students and researchers and anyone interested. This digital database covers 109,647 rulings of 79,356 cases, whereas Shuukh App covers 39,490 rulings of 29,334 cases. Digital database is accessed by 7000-8000 users daily. The digital database /www.shuukh.mn/ was launched with the help of the Transparent Governance Project funded by US, in order to increase the use of digital database, improve the legal education of the citizens. In the scope of this project smart phone and tablet applications and digital database has been established. Shuukh /Court/ app is available at app stores for free and the user can access the database of court decisions and rulings, other necessary information. The app enables the user to receive the alerts and notifications on newly uploaded rulings and decisions, see the locations of the courts on the map and get information on the State Registration fees, case registration, related phone numbers and websites. January 27 (infomongolia.com) The regular Cabinet meeting of the Government took place on January 26, 2015, where one of the issues resolved was a decision to increase the criteria for students to receive monthly government scholarships or stipendium. To date, the Government of Mongolia has been allocating four types of stipend to students who are studying at the accredited universities and institutes, where all students of day courses are being granted with the national student's monthly stipend of 70,200 MNT (Tugrug) starting from January 01, 2012 and later it was resolved to allocate an additional 50%, 75% and 100% bonuses for the top 20 professions of high demand depending on their study performances. According to latest decision, it was resolved to make amendments on higher education policy regarding the monthly stipendium, which states, all students used to receive the national monthly stipend of 70,200 MNT and who are studying at the accredited universities and institutes for day classes will receive a monthly stipend depending on their study performances. 1. The national student's monthly stipend of 70,200 MNT shall be allocated to those students whose GPA is no less than 3.0 score. Today, each student whose GPA is above 2.0 receives the 70 thousand MNT. 3. The criteria for Doctorate Degrees is increased from 3.0 to 3.5. Moreover, criterions for above mentioned additional 50%, 75% and 100% bonuses have been also increased. 3. The criteria for 100% bonus is remained or to a student, who receives top three places from the National Olympiad organized by the Ministry of Education, Culture and Science of Mongolia. This decision was much anticipated by majorities, because not only to save the budget, but also students who are really studying hard must be valued and rewarded with a monthly stipend compare to those students, who spend for a party. January 26 (UB Post) It has been over month since Prime Minister Ch.Saikhanbileg's cabinet was approved by the parliament. Having not been able to achieve what they promised to do, the government that offered solutions not only grew bigger, but also became distracted. Meanwhile, the MNT rate against USD, which mirrors how the economy is doing, soared from 1,880 to reach 1,940. Although Ch.Saikhanbileg established a general, but objective, diagnosis for economic conditions and proposed direct measures such as cutting expenditure, supporting the private sector, promoting investment, and properly managing debt, he is currently stuck; unable to actually carry out those actions with consent from the relevant authorities. The primary cause of the current government's distraction is the parliament. It is because members of parliament have all been infected by populism, and have been approaching everything by thinking only about how they can get re-elected in the upcoming election. Therefore, they are hindering the making of decisions required during a crisis situation, which ultimately holds back the long-term economic growth of Mongolia. When the last government was replaced, the 2015 budget was approved with no clear owner. That is why they are making amendments to the budget after only two months of its approval. The newly appointed ministers have noted that the economic conditions are worse than imagined. The major indicator for not only the quality of the public budget, but also the capability of the parliament, is the extent of deficit, rather than the total amount of budget revenue and expenditure. This was understood by the government after the 2008 economic crisis. This is why there was a decision to set the debt ceiling at two percent of GDP under the fiscal stability law, which was implemented in 2013. Furthermore, it was put into law that the the external debt ceiling was not to exceed 40 percent of GDP. However, the budget deficit today equals five percent of GDP, not two percent, while the external debt ceiling is 60 percent of GDP, not 40 percent. The new finance minister has discovered that the previous government was providing inaccurate information about external debt. The sudden hike in the exchange rates has also influenced the debt ceiling being penetrated by the dollar bullet. The bullet would naturally go upwards, since the government has been issuing a lot of bonds without designating their specific use. Having raised a loan of 2.3 billion USD from foreign capital markets, the government has been paying six million USD each month, which means more than 70 million USD a year. The Mongolian People's Party (MPP), which has taken its time to make decisions, has recently entered the coalition government. The MPP has supported another "Zaisan-ing" (To Zaisan: An action by the Mongolian government to break the law and then change the law to avoid consequences), and passed a law to extend the debt ceiling to 60 percent. It can be clearly seen that this political party has become very good at doing this. Just like how a household economy works, a country must also live on what they create and earn. However, the "actors" of parliament are talking about raising the debt ceiling to 10 percent of GDP (S.Byambatsogt, the MPP's caucus leader, plays the leading role) and extending the external debt ceiling to 70 percent of GDP (roles being played by other MPP actors). It looks like a desperate series of borrowing more to pay back existing loans is about to begin. The two political parties are not capable of doing anything other than borrowing more to settle debts. After his appointment, Prime Minister Ch.Saikhanbileg was confident about seeing reality objectively and resolving long-standing issues in a prompt manner. When he first addressed the parliament, he quoted Winston Churchill, a former Prime Minister of the United Kingdom, about offering blood, toil, tears, and sweat. Nevertheless, only after a month and a half, the Prime Minister is talking about raising the debt ceiling, which will have phased reductions over time, to acquire foreign loans. The parliament did not support measures to cut budget expenditures and reduce social welfare spending. The important moves that started with the stated intentions of the Prime Minister have been stopped by the "actors" of parliament. Those moves included ending the provision of 20,000 MNT to children from households whose monthly income is more than several hundred thousand MNT, providing the 70,000 MNT student stipend to only those who have a high GPA, providing a pension equal to one's service when a civil servant retires, stopping the provision of money granted to mothers of the Mother's Honor medal if their children have grown up, and restricting government involvement in the business sector. These were timely actions that came with no other choice. It can be said that Prime Minister Ch.Saikhanbileg currently lacks a quality that was demonstrated by another former British Prime Minister, Margaret Thatcher. It should be said, that despite facing strong opposition from the people and receiving harsh criticism, Margaret Thatcher implemented major spending cuts, such as privatizing state-owned enterprises, reducing taxes, and stopping the provision of milk for children. As a result, the private sector was greatly catalyzed and the economy was revived quickly (read more on http://jargaldefacto.com/five-lessons-from-thatcherism/). Ultimately, accountability goes to the Prime Minister, not to the "actors" of parliament. If Prime Minister Ch.Saikhanbileg realizes this, his government can truly offer solutions. Otherwise, if his government depends too largely on the parliament and gets distracted, the country will not be able to get out of the recession and his government will end up becoming another "comedy". The economy can be revived and the trust of investors can be earned by taking measures other than cutting budget expenditure and increasing taxes, such as dramatically improving the business environment for the private sector, supporting fair competition, turning state-owned companies into publicly-owned companies, and stopping all kinds of government subsidies. The current fall in exchange rates is caused by a deficit of capital, which is caused by a lack of trust. These deficiencies can only be fixed by the confident vision of the government and its actions to support the private sector. Otherwise, Mongolia will become a lost, debt-ridden country, where a few populists rule the nation in turn, while the government becomes richer as the people get poorer. Those who have the means to do so will start abandoning the country. A doctor often faces the need to perform surgery in order to save the life of a patient, despite how much pain the operation could cause. In this crisis, the Prime Minister must be smart, knowledgeable, and decisive. January 20 (UB Post) State Senior Immigration Officer J.Puntsag stood trial on Monday and was sentenced to one year and six months in prison for receiving bribery from a Chinese businessman. An investigation revealed that J.Puntsag released 14 Chinese citizens working in Mongolia with expired visas instead of lawfully deporting them for bribes. CRCG's interpreter, Tsatsaa, reportedly conspired with the immigration officer and assisted in the bribery, which was later found during investigation. The suspect woman is also a Chinese citizen who immigrated to Mongolia. The District Primary Criminal Court No.2 sentenced Tsatsaa to a 960,000 MNT fine, while Vice Director of CRCG who bribed the immigration officer is to face a fine of 9.3 million MNT. January 21 (gogo.mn) After being on sick leave for more than month Ex PM N.Altankhuyag starts his work as MP. He was on sick leave due to the injury just after handing over his post as PM over a month ago. After handing over his duties as PM to Ch.Saikhanbileg he was allocated new room as an MP at the Government Building. Starting from today his MP room, which was empty for over a month, is occupied starting today. January 27 (gogo.mn) Mineral Resources Agency of Mongolia (MRAM) has started issuing registration numbers online for exploration license applications yesterday. Yesterday 30 registration numbers have been issued online and the entities applying are to submit their applications today. Online registration started at 8AM yesterday and 373 entities have successfully registered out of total 377. The first day of registrations started normal. Online automated registration was introduced in order to provide the same starting conditions for all the applicants. During the first minutes due to the increased access there were glitches in the system. But the situation eased and by 8.10AM first registration number was issued. The last 30th registration number was issued by 8.19AM. There were no system failures registered, but MRAM received complaints on malfunctions of the device. Head of the MRAM D.Uuriintuya assured that all the complaints were addressed. Changes in the registration process have been made to lower the daily load of MRAM specialists who review the applications for the exploration licenses. Before the registration number were set to be issued daily, new regulation reads every other day. This means the next online registration is to be held tomorrow. This will also enable MRAM to control and eliminate the overlapping of the coordinates requested by the entities. Meaning that one coordinate is available for claim by one entity. Therefore, entities should be careful when selecting the coordinates. Detailed information on the availability of the coordinates to be updated constantly on the MRAM website. 30 registration numbers are being issued per day in the view of the need for the MRAM specialists to review the application to spend 15 min per application. The officials at MRAM also mentioned that there are 300 exploration licenses issued and the re-issuing will double this number and around MNT 3 billion to be accumulated at state budget. January 22 (gogo.mn) Feasibility Study on Hydroelectric Power Plant planned with funding from the Turkish ZTM on Tavaltain Khavtsal (Tavaltai Canyon) in Nogoonnuur soum of Bayan-Ulgii aimag has been conducted and upon building the power plant, Mongolia hopes to fully supply western region aimags with electricity.. The FS indicates that Turkish side to introduce the efficient technology and develop the Power Plant with capacities of 88,7MW. State Secretary of Ministry of Energy D.Delgertsogt received the delegation of ZTM officials and Project Coordinator Prof. Turgut Oztas and introduced with the Hydroelectric Power Plant FS. Moreover, ZTM expressed their interest in taking on the project of Khovd River Hydroelectric Power Plant on a concession agreement basis. Upon building the power plant, Mongolia hopes to fully supply western region aimags with electricity. ZTM Engineering and Consulting also started creating a master plan for Mongolian hydroelectric power plant development. January 21 (Mongolian Economy) The World Bank, within the scope of its Mining Infrastructure Investment Support Project for Mongolia, held a recent discussion amongst industry leaders about a feasibility study for the future Shuren Hydroelectric Plant, and the project's socio-environmental impacts on the Selenge River region. During the discussion, we interviewed G.Gendensuren, a project director. How's progress going on the Shuren Hydroelectric Plant project? We have a professional team of eight people working on the project, and progress at this stage is no more than five percent of the total work that must be done until the commencement of the plant. Last year, we developed a draft feasibility study on the proposed hydroelectric plant; after review, the World Bank has deemed this report to be satisfactory for continued project development, and we now have permission to proceed. For the moment, we are preparing the groundwork for the feasibility study and a socio-environmental study, both of which are to begin this spring. Russia is fervently opposed to the Shuren Hydroelectric Plant, which has made the project controversial for several years. How does the feasibility study address Russia's concerns over the environmental management of the project? Since Mongolia's Selenge River drains into Russia's Lake Baikal, and provides 50 percent of the latter's water supply, there is bound to be trouble. Recent research shows that the water level of Lake Baikal has been decreasing; however, this has not been caused by a change in the river's flow rate, which is still at its long-term average level, but by a drought beyond our northern border. Therefore, the likelihood of other contributing factors keeps it an open question. Also, there is a need for government organisations to collaborate with scientific institutes and environmental groups. As for Russia, government organisations listen to comments made by scientific research institutes, and it is a common sight among international environmental organisations to stage a protest without looking at research data. Meanwhile, the issue is still in progress and has not arrived at a final decision. When will construction commence, and how do you raise funds for the project? Construction will commence after the World Bank approves the feasibility study this spring. Of course, construction will require a great amount of money. Preliminary estimates show that we will need USD 700 million to 800 million to complete the work. Now, there are many ways to raise funds, and it is important to set up a project that can attract funds by using every available opportunity. The most important factor is the price of the electricity product. We think the project will be an attractive one for its electricity price in terms breaking even. How much do you think the generated electricity will cost? It is estimated that the product will cost approximately USD 0.0037 to 0.005 per kilowatt [Is this correct? Don't use cents. ], and there is currently no power plant providing electricity at that low price other than Thermal Power Plant IV. The Law on Renewable Power sets the price of electricity at USD 0.005. So, if we keep on pricing the generated electricity in accordance with the law, then the owner of the plant can be either the government or a private entity. The balance between USD 0.0037 and 0.005 could see a profit. That is all we can estimate for now, however, as this figure might be reduced once we complete the feasibility study. How much time will the feasibility study take? Preparation of the feasibility study will take 1.5 to 1.8 years. And then the World Bank will review the final draft of the feasibility study. We will be able to start construction only if the World Bank approves the feasibility study. So, it is estimated that if we manage to raise the funds now, the construction work should commence in 2017. How long will it take the hydroelectric plant to break even? Are there any plans for exports? If we assume that 1 kilowatt of electricity will be priced at USD 0.0037, then the hydroelectric plant will break even in 10 to 12 years. The project is not originally intended for export. The central electrical grid of our country already has too many troubles, to the extent that we import electricity from Russia because our central grid does not fully meet our electricity demand in the evenings. Therefore, the proposed hydroelectric plant will be operated to balance short-term electrical load fluctuations, and to satisfy domestic demands by reducing electricity imports. Ulaanbaatar, January 27 (MONTSAME) "Erdenes Mongol" LLC organized a meeting January 26 to consult with "Mongol Teever" Union, Ministry of Environment, Green Development and Tourism, Ministry of Road and Transport, and Authority for Specialized Inspection, along with 50 entities engaged in coal transport. Representatives of the entities made several requests to authorities/owners of roads to resolve some issues. They want them, for instance, to decrease the tariffs of a special use road that goes from Tavan Tolgoi deposit to Ganshuunsukhait port, to set a proper limit of permissible load, and to facilitate fair competition. Other raised matters were on refining the road management and on setting up a favorable environment for business processes. If these problems are solved, a good model will be set for the Public and Private Partnership (PPP), an environmental degradation will be reduced, and the fair competition will be provided, the businessmen consider. January 27 (news.mn) Mega projects implemented in Mongolia are the main factor in determining the future of Mongolia. A mega project forum is going to be organized with support from the Mongolian government. A project which requires more than 1 billion USD in investment and also a project which requires a sizeable location and infrastructure considerations is called a "mega project". At the forum, The Minister of Mongolia, M.Enkhsaikhan will give a presentation titled "Mega Projects in Mongolia: Trials and Possibilities", and Sumitomo Mitsui Bank of Japan will present "Project Financing and Cooperation of the State and Private Sector". The Minister also plans to give a brief presentation regarding the problems and possibilities faced during the implementation of mega projects. The non-governmental organization "Mega Project Development Forum" is organizing this forum. For more information regarding the forum call 99092460, email info@mdimongolia.com. Ulaanbaatar, January 21 (MONTSAME) The national council on the Extractive Industries Transparency Initiative (EITI) called a press conference Wednesday to inform about EITI Mongolia Report 2013. This council has been compiling these reports since 2006 to indicate the revenues and expenditure of the extractive industries and the legal performances of mining companies. Such councils of the EITI are operating in 48 countries so far. The Mongolian national council is led by the Prime Minister and has a total of 30 members, consisting each of 10 representatives of State organizations, companies and civil society. According to the report, a total of 1,699 companies, including the registered 1,699 with licenses for minerals, 14 companies with radioactive minerals licenses, and 13 companies with oil product licenses, have been obligated to report. Out of them, 1,198 companies have reported their revenue of MNT 1.5 trillion in a timely manner, amount of which has covered 27 percent of revenue of the State Budget. The Government revenue from the minerals' sector had been made up of royalty payments (31%), entities' income taxes (18%), product-sharing agreement stake for Government (12%), and value-added taxes (11%). Among the above mining companies, some 250 each accumulated to the State Budget tax income of more than MNT 40 million in 2013. Only 20 companies covered 93 percent of the total tax revenue accumulated from the minerals' sector--Erdenet Mining Corporation (32%), Oyu Tolgoi LLC (13%), PetroChina Dachintamsag (12%), Mongolyn Alt Corporation (8%), and Energy Resource JSC, Tavan Tolgoi LLC, Erdenes tavan Tolgoi LLC, Boroo Gold, Bold Tomor, Eroo Gol and Tsairt Mineral (2-5%). The State Budget consumed 92 percent of the total accumulated mining revenue, MNT 1.5 trillion, five percent–localities' budgets, and three percent were given to the State bodies in a form of support and donation, reported the council. The mining sector activities are becoming more transparent in the recent years. "However, the cooperation agreements of mining companies should be uncovered as well" concluded the Council. The information for 2014 is being collected to be compiled at the end of this year. The statistic audits have been conducted on the report by Hart Neuers Group from the UK and Ulaanbaatar Auditory Corporation. January 25 (UB Post) On Saturday, the Mining Journal Awards (MJA) was organized for the fifth time to name the best of the mining sector. The MJA is organized annually by the Mongolian Mining Journal, and based on the independent assessments of judges and total scores, the best are named. Erdenes Tavan Tolgoi JSC was awarded for "Sustainable Performance", and Executive Director of Erdenes Tavan Tolgoi JSC Ya.Batsuuri highlighted, "It's not easy to always hear criticism, but we are happy that judges discovered our successes." The company has been operating for three years and four months. By the end of 2014, they exported 4.3 million tons of coal, decreasing their expenses by 20 percent. By not passing through Tsagaan Khad (White Rock) customs, they started transporting coal directly from their underground mine to export and save on transportation expenses. Erdenes Tavan Tolgoi JSC met the criteria of the MJA by maintaining employment sustainably, by opening Tsankhi Town, and by successfully negotiating with the contract mining company of the Eastern Tsankhi to reduce expenses. The mining sector's judges appreciated that the company had exported the most in a difficult year, in times when the price of coal declined by up to 40 percent in the market, and for realizing conservation management. In addition to Erdenes Tavan Tolgoi JSC, one more company received the grand prix with the same score for the same nomination. SouthGobi Sands Ltd also transferred to savings mode, sustainably maintaining jobs. The company opened a 43 km paved road from Nariinsukhait to Shiveekhuren, supporting local development, and raising funds on the stock market. The company also successfully implemented its environmental management plan at 98.4 percent, receiving the prize for "Sustainable Performance". SouthGobi Sands reported at the MJA that the company reduced their direct exploration expenses to more than two times less than expenses in 2012. The category of "Sustainable Performance" was added to the MJA in 2013, when the economic crisis began. The total amount of mining exports increased in 2014, and revenue for mineral products also increased compared to 2013, comprising 89 percent of the nation's exports. The mining sector highlights that in 2014, named "the crisis year", gold producers delivered 13 tons of gold to Mongol Bank, and the amount is expected to increase in the future. The category for "Eco Mining" had many participants. In previous years, up to 30 companies competed in the category, but this year's winner was Monpolymet Group. In 2014, the company conducted technical rehabilitation on 74.3 hectares, biological rehabilitation on 37.3 hectares, and planted a great number of trees and bushes, involving local people and ensuring them with jobs. The nine criteria for a nomination in "Eco Mining" were created by the officials of the Ministry of Environment, and participants underlined that the nomination is one of the highest honors, with the most strict criteria of all categories. For "Best Technology of the Year", Focus Metal Mining was awarded for deeply processing iron ore and successfully producing final products. The company competed with an iron wet concentrator plant, a strong competitor. Oyu Tolgoi Ltd was awarded for "Best Responsible Mining". The company's concentrator plant worked at full capacity in 2014, processing 27.5 million tons of ore, introducing global safety standards to Mongolia. For the category of "Best Mine of the Year", Altan Dornod Mongol Ltd was awarded. The company fulfilled their plans at 100 percent, increasing their sales revenue by 60 percent compared to 2013. The company also exploited 1,548 kg of gold, adding 3.7 billion MNT to the local budget. Honorary guest of the 2014 MJA, academic P.Ochirbat said that miners worked very well, but the state's poor policy has been continuously complicating the sector. January 26 (UB Post) If a recent report from the National Statistical Office is correct, it seems that most of the commercial banks in Mongolia might soon close their doors. We can find pawnshops on the corner of every building in every district in Ulaanbaatar, which means that pawnbrokers are seeing strong business while banks suffer. As the Mongolian President said, commercial banks in Mongolia are working like pawnshops. They just care about their interests and benefits, not thinking about the consumer's satisfaction. Pawnbrokers check every cleft of earrings and rings, and every scratch on cell phones and televisions, exploiting people with high interest rates on collateral loans. When the deadline for loan repayment passes, pawnbrokers just sell people's collateral without warning, and many of the pawnbrokers never return the lost money to owners. Mongolia dreams of becoming a manufacturing country. A policy was even created and a ministry established dedicated to pursuing the goal, and a project named "Supporting Export, Replacing Import 888" was initiated. But unfortunately, the criteria of commercial banks operating in Mongolia are really high and discourage businesses. They just focus on collateral requirements and real estate, instead of valuing people's ideas and their desire to do something. Therefore, we need to increase the independence of banks, which are surviving day by day thanks to rich people's savings, and regulate them to have active capital for bearing risk. Domestic banks have become barriers for foreign banks that can become investors in major projects and programs supporting and valuing Mongolian ingenuity. Consumers choose the best among the competition in a free market. Banks should benefit while having the ability to bear risk and invest in big projects or programs. The world's largest banks operate on this principle, while in Mongolia, the biggest banks with capital have insurmountable criteria. The banks with less capital list a bunch of reasons why they can't offer loans, directing the blame at the government. Last week, Mongol Bank raised its policy rate to 13 percent, citing the increase of the USD exchange rate and the MNT's depreciation. There are murmurs that some commercial banks that can't bear risk have stopped approving loans. In particular, they are following a principle to not issue eight percent interest rate mortgage loans, because the banks are not benefiting from these low interest mortgage loans. The criteria for mortgage loans are quite high, but thanks to these loans, thousands of young families have apartments. Of course, some of them can't repay their loans, repayment will take a long time, and deadlines must be delayed. It's obvious, but if Mongolian banks refuse to issue mortgage loans, they should give foreign banks the opportunity to enter the domestic market. In the opinions of only some banking officials, opening the market to foreign banks will influence Mongolia's national security, and bankruptcy in the banking sector shouldn't limit people's choices. It's an appropriate time for banks to understand that if they can't provide loans to people, they need to step down. We are offering our salaries and properties as collateral, and then take out loans, but banks are earning interest from our loans. The issue of taking only interest has been touched upon several times. If you have taken out one loan, you can't apply for another within the same year. If you take out a loan from one bank, you can't go to another bank for more loans. When you use an automated teller machine, you pay fees ranging from 100 to 500 MNT. The fee for inter-bank transactions has surged from 300 to 2,000 MNT. Only five or six banks that would consider herder's livestock as collateral, or that fairly values people's property, would be enough for a low-population country like Mongolia. We need banks that can invest in nationwide developments, that can correctly value people's income, that support people without real estate, that support production, and that value intelligence instead of only property. We need banks that consider projects and programs collateral and not only property. January 22 (UB Post) The Ministry of Food and Agriculture issued a meat export quota for eight companies on Wednesday, after a month's delay in the tendering process for meat exporters. The Head of the Department of Coordination for Food Production Policy Implementation at the Ministry of Industry and Agriculture, Ts.Nandinjargal, explained the reason behind the delay. "Companies, and even individuals who have no experience in exporting meat, applied for the tender. It took us a long time to verify their legitimacy," she said. The National Commission for Food Safety approved the exportation of 644,000 tons of meat and 2,000 tons of meat for importation in 2015, and the Ministry of Food and Agriculture organized a selection process among meat producers. Baatruud Tenger LLC, Makh Impex LLC, Mongol Makh Expo JSC, ANDM LLC, Mon-Tuva Factory, Bumnomin LLC, Sooton LLC, and EDGS Ltd have been chosen out of 36 companies that applied for the tender on December 12, 2014. The tender considered adequate sanitary procedures at meat processing plants and appropriate storage of meat in refrigerated warehouses. The majority of the 36 companies didn't meet these requirements. In total, the selected eight companies received an export quota for 4,051 tons of meat; 1,676 tons for beef, 2,275 tons for horse meat, and 100 tons for chevon (goat meat). The ministry confirmed that this specified amount will be exported within the first half of the year. The highest amount of meat exported by Mongolia has been 26,000 tons in a year. Experts noted that Mongolia isn't capable of exporting 64,000 tons of meat a year as that sort of capacity isn't currently available in the country. They've also affirmed that Mongolian livestock isn't raised for meat purposes. According to the experts, Mongolia is expected to export meat equivalent to six percent of the amount approved by the National Commission for Food Safety in the first half of 2015. Domestic meat processing plants did not announce their prices for export meat. On average, if we say one kg is exported for five USD, Mongolia will make over 20,000 USD from exporting meat in the first half of the year, which is approximately 38 million MNT. Other companies that failed in the previous tender selection process will get the chance to receive a share of this money by joining a new selection process, which the ministry said will take place in fall. Opportunities for exporting meat are increasing as the population of livestock increases in Mongolia. This can be seen from the decision of the National Commission for Food Safety, which approved 64,400 tons of meat for exportation. Meat can become an important export product of Mongolia. Several experts have recommended focusing the policy towards improving the health of livestock, upgrading meat processing plants, and developing intensive livestock farming. Mongolia is known to have frequent foot-and-mouth disease (FMDV) outbreaks. This makes it difficult to export meat, particularly from eastern regions, where FMDV outbreaks occur regularly. This region has already become the focus of the World Veterinary Association. Mongolia's attempt to declare its central and western regions FMDV-free failed when the disease spread throughout Sagsai soum in Bayan-Ulgii Province last year. It's said that Mongolia has resubmitted a request for recognizing western regions with FMDV-free status. Head of the Veterinary and Animal Breading Department M.Galbadrakh reported, "Mongolia can declare FMDV-free status if technical meetings are held regularly. A technical meeting has been arranged for this month." It will become easier to export meat if western areas are recognized as FMDV-free. The Customs Union Regulatory bodies of Russia, Kazakhstan and Belarus paid a visit to 12 Mongolian meat processing plants. They advised eight plants to upgrade their technology and improve their operations. Once these plants have enhanced their operations, they will be permitted to export meat to member countries of the Customs Union. Overall, Mongolia has over 30 meat processing plants. Operation and equipment of these few plants comply with global standards, according to related officials. "Plants work at full capacity to export high-standard meat, which has to be processed with industrial methods. Ensuring this regulation increases profit, providing the opportunity to upgrade technology and equipment," claimed an agriculture sector official. Many experts in the field believe that development of meat processing plants should be supported through government policy. Intensified livestock farming is undeniably the key to increasing meat exportation. Livestock of Mongolia have small-sized bodies that have adapted to the extreme climate. Mongolian livestock is said to be unsuitable for industrial meat production because they are pastured, which develops their muscles, hardening their meat. Russians prefer importing beef and horse meat from Mongolia. Statistics show that Mongolia has approximately three million horses and 3.4 million cattle. If around 200 kg of meat is extracted per cattle, Mongolia will have to slaughter 320,000 cattle to supply 64,000 tons of beef. It's suitable for Mongolia to establish more cattle farms for meat purposes if it is to supply Russia with beef to accumulate much needed foreign currency. Export volume will increase only if cattle with high meat output are bred. Mongolia is capable of selling five million goats but there isn't a market that can afford it or is willing to buy them. Mongolia will have to use its export quota for 100 tons of chevron wisely. January 22 (UB Post) The following is an interview with President of the Mongolian National Chamber of Commerce and Industry (MNCCI) B.Lkhagvajav, about the chamber's future goals and present economy related issues. B.Lkhagvajav, who is considered one of the leading economists in the country, is director of Urbanek LLC, and has formerly worked as an advisor to the Prime Minister of Mongolia. You became the president of the MNCCI quite recently. How would you evaluate the chamber's work that was carried out in 2014? During Dembrel's tenure as director, the chamber did not undergo any significant changes in policy, despite Mongolian society facing many changes throughout the last 20 years. When the chamber was first formed, the economy of Mongolia was based on a centralized economy under a communist regime, with state control over 100 percent of the economy. Today the central budget of the state is equal to 31 percent of GDP. When I was nominated for the position of president of the MNCCI, I promised two things. The first is to have the economic transparency law approved within the first month. I think I'm close to fulfilling this promise. The law will be discussed in Parliament soon. Secondly, at the moment, the chamber's building is state property. This building was a gift from the People's Republic of China but it is listed as state property. This issue is being discussed with Prime Minister Saikhanbileg. The chamber's transparency law will be enacted for six months. During this time, all citizens, enterprises, and even the state, must participate in financial reform. Also, issues such as the governance of companies and wealth distribution will be addressed. Single-person companies represent 99 percent of the companies in Mongolia, and because they submit false tax reports, these companies are not able to receive the benefits of company governance, financial mechanisms, banking systems, and capital investment. For this reason, many companies remain small or are removed from the market altogether. Addressing these market failures will be the biggest challenge of the coming six years. These challenges will be the focus of the chamber's work. Since 1992, we faced three big economic recessions, not including the current recession. The state's fiscal policy has always suppressed wealth creators' labor, trust in private property, liberalization of prices, and the production of housing, cattle, and capital in the market. The first stages of the current economic recession began two years ago. But the government didn't trust its wealth creators. Instead, the government planned to inject money into the market from abroad, which today reduced the MNT's value by 30 percent. This 30 percent devaluation has rendered the last five years' profit of all companies in Mongolia, big and small, to zero. The state's response represents a failure in macroeconomic policy. To mend the situation, the government must trust its wealth creators. Mongolia has very few macro-economists, and the few that we have don't know much beyond theory. Policy makers should be making decisions based on the nine parameters of the macro-economy. These decisions should benefit the people. In these 23 years, we were not able to allocate these resources through property laws and we aren't able to protect them through the Criminal Code. Now they virtually belong to a handful of high ranking government officials. The natural resource industry is a game played by few countries in the world. We are entering the game with our gold, copper, and silver. However, Mongolia isn't ready for the game yet. We don't have professionals trained in international finance, we don't have world class accountants, world class lawyers, or world class arbitration judges. We learned that if we don't have well-trained engineers there are no advantages in owning coal. At the moment, we have poorly trained human capital and no technological resources. Even though the population of Mongolia is small, if we use the proper technology and hire the right professionals, we can rise up. Our country has disappointed its neighbors. If we can't play by the universal rules, no one will play with us. To make decisions concerning the future, we must look at our history. We must learn to look back at least 200 years. Without knowing global economic history, we can't move forward. Clause 5.6 in the Constitution states that the state must take part in the economy for the well-being of citizens and entities. January 25 (UB Post) Mongolian citizen Ulziisaikhan told Unuudur Daily that a Chinese company swindled four million MNT from her, and that many others are getting ripped off for large sums of money. The Chinese company in question, Lin Rui, opened a branch named Mongol Lin Rui in October 2012. The company's office is located behind the Monos Pharmacy west of State Department Store in the Chingeltei District. Journalists of Unuudur Daily couldn't find any information about Lin Rui online, so they went to investigate the main office. When the journalists told the front desk that they were from Unuudur Daily, a Chinese woman who was later identified as being in charge of all international and domestic transactions, ran out of the building in haste, completely forgetting to put on a coat. Another staff member reportedly started crying about having chest pains and feeling faint. According to Lin Rui's critics, the company professionally scams large sums of money as a pyramid scheme investment. They win customers' trust by giving them profits for the first few months, and then encourages them to invite friends and family members to join, gaining more profits for the company by making hundreds of investors suffer losses. Unuudur Daily journalists were told that Mongol Lin Rui has taken in nearly three billion MNT from over 1,500 local investors. Several people outside the office stated that they haven't received any money from the company for over six months, and are taking turns to guard the office in groups of five to six people, as they don't know when or where the company employees will run off to. According to the frustrated group gathered outside of Lin Rui, the lives of dozens of people have been destroyed and three people suffered heart attacks after hearing about the scam. Ulziisaikhan says she lost four million MNT to Lin Rui, but she claims that she's lost a small amount of money compared to other investors who lost 70 to 80 million MNT, and some who lost nearly 100 million MNT. With the hopes of earning money on their investments, most of the victims took out loans, using their homes, cars, and immovable property ownership as collateral. Now, they are unable to pay off their loans, since the company hasn't paid them for almost half a year. "Mongol Lin Rui could be a scam and money laundering scheme instigated by a group of Mongolians and Chinese people," said the group of angry investors outside the office. They explained their reason for this accusation, "Last year, five people got to visit the headquarters of Lin Rui Group in China, but they only got to stroll around an empty office for a while over the weekend." January 25 (UB Post) Where there are people, trash and waste are generated. Reducing and recycling waste is the foundation to a healthier living environment. Professor of the environmental sector of the School of Civil Engineering and Architecture at the Mongolian University of Science and Technology (MUST), D.Munkhtsetseg, gave an interview regarding this topic. Our sources say that you are the only expert in Mongolia specialized in waste processing technology. Where did you study for this profession? In 2000, I graduated as a chemical technician from the Chemistry Faculty at the National University of Mongolia and started working at the Institute of Chemistry and Chemical Technology of the Mongolian Academy of Science (MAS). In 2011, I got my master's degree for waste processing technology engineering from the Faculty of Forest, Hydro and Geosciences at the Dresden University of Technology in Germany. The Ministry of Education, Culture and Science told me I was the only person with this profession in Mongolia when I returned after graduating. Now, there are four others with the same profession. They're all my students. Now that you've formed your own team, will you be intensifying waste processing projects? Waste processing technology engineers are one of the most demanded experts of the government. The faculty of environmental engineering sector at the MUST had its first enrollment in 2010. Many important works are awaiting our graduates. Most people expect us to work beside rag pickers near Naran Enger and Ulaan chuluut landfills when they hear of our profession. Waste processing technology engineers are environmental engineers. We produce new products from free materials that are no longer in need and develop technologies for reusing useful waste, preventing them from becoming depreciative. How much waste does Ulaanbaatar have? Have you researched and made analysis on this? Approximately 47 percent of Mongolia's population (around 1,372,000 people) lives in Ulaanbaatar. Last year, 1.2 million tons of waste was disposed at landfills and waste disposal sites in Ulaanbaatar. Open-pit landfills are abundant near the city such as Emeelt and Gachuurt. Our research shows that a ger area resident produces 600 grams of waste a day while an apartment resident produces 800 to 1,200 grams of waste a day. This is merely the amount from households. In 2004, approximately 193,000 tons of waste was formed from the capital and in 2009, the amount almost doubled to 374,000 tons. This figure exceeded pre-estimation made in 2004. Since then, the amount of waste has rapidly grown through the years. How does Germany manage its waste issues? What kind of policy does the German government have on waste disposal? Germany is the leading country with highly advanced waste processing technology. Germans consider waste as economic raw material for saving natural resources. They take many measures such as producing biogas from wastes to use it as a secondary raw material for production, renewable energy and heat source, as well as bury waste to ensure no harm to the environment. Waste disposal and processing is managed by legislations passed by the government and municipality. The public strictly follows regulations specified in these legislations. Germans are charged fees depending on their waste amount so they try to create as little waste as possible. Producer companies are responsible for disposing their expired products. What should Mongolia do to minimize waste? The fundamental plan for waste management is to reduce and prevent the generation of waste. This work is exercised with short and long-term strategies. Experts in this field are focusing on consumption across the world since waste is generated from people's needs. For instance, countries can rationalize on packaging and containers, and encourage people to use reusable shopping bags. Waste shouldn't always be burnt. Are you suggesting that waste should be sorted and specific technologies should be used for waste disposal? That's right. For example, radioactive and explosive waste mustn't be burnt. They should be made less dangerous through complex chemical processes, including disinfection and neutralization, before disposing with combustion technology. Suitable processing methods are used after they are categorized as household, construction, production and hospital waste, and separated by their source – wood, metal, plastic and so on. Mongolia is processing liquid waste with mechanic-biological method. We haven't gotten to processing solid waste yet. It's in fact possible to produce many types of products, including fertilizers, gas, energy and heat, via chemical and deep-processing. Marine litter is another urgent global issue. Although Mongolia is a land-locked country, it has large lakes. Have you researched the waste level near lakes and rivers like Khuvsgul Lake and Tuul River? How should they be cleaned? Annually, 25,000 tons of packaging, bottles, cans and plastic products pollute lakes, seas, and oceans. A research shows that approximately 150,000 tons of fishing nets and gears were lost in oceans. Nearly 50,000 seals become trapped or entangled in these marine litters and die every year in the Pacific Ocean. Litter disposed into oceans decreased slightly since the Basel Conventionon the Control of Trans-boundary Movements of Hazardous Wastes and their disposal was approved. Previously, developed countries used to have their waste disposed in less developed countries or have it dumped at the bottom of seas and oceans. It's important for Mongolia to not pollute Khuvsgul Lake, our source of clean water. Currently, we don't have a definite analysis or study about marine litter and its amount. Mongolia doesn't have a specified personnel for researching this. I think our new experts can focus on this topic. Legal regulation is top priority for preserving unpolluted, clean rivers and lakes. High penalties should be set up for littering near rivers and lakes, more trash bins need to be set up, and regularly spring cleaning should be done. Has Mongolia disposed of hazardous waste from foreign countries? Such cases occur to countries that haven't joined the Basel Convention. The USA transports and dumps its hazardous waste in African and Asian countries since it's not part of the Basel Convention. Mongolia joined this convention, hence we prohibit trans-boundary movements of hazardous waste. Yet, Mongolia receives some wastes under the pretense of grant aid, relief goods, and second-hand products. For example, old electronic products, clothes, furniture, and cars. These products become waste after some time as their usage time expires. This has become one of the reasons for the increased waste amount in Mongolia. 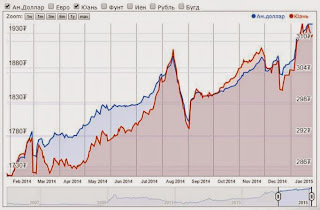 The main driver of the economy of Mongolia is mining. Toxic chemical agents, including mercury and sodium cyanide, are spilled during mining procedures. How can these hazardous chemicals be removed without harming people's health? Despite the lack of transparency on mining waste, almost everybody knows it's harmful to our health. A complex technology is required for processing waste from mining. Western countries have already developed technologies for processing toxic chemical agents such as sodium cyanide. They combine neutralizing and precipitation methods for heavy metals through mechanical means. The public is conflicting on whether the green trash bags distributed by the capital city are necessary. Do you support the distribution of green bags? Most of countries across the world throw out trash in bags. But I don't think this method is urgently called for in Mongolia because the regulation and payment system in Mongolia is lacking. Waste structure and its components in residential areas are also extremely different, not to mention that Mongolia doesn't have a waste treatment plant for final removal. Are you saying that distribution of trash bags is unnecessary when Mongolia hasn't established waste treatment and recycling plants? Waste treatment plants and especially recycling facilities should be built in densely populated areas such as Ulaanbaatar, and Darkhan-Uul and Orkhon Provinces. Despite our small population, Mongolia separates and processes plastics, paper, cardboard and wood mechanically, and supplies it to china. This shows that Mongolia can extract several raw industrial materials from waste. The Central Waste Water Treatment Plant has resources to produce biogas from sewage sludge and turn it into fuel as well as a relatively small heat and electricity sources. In 2009, I did a research on the structure, volume, and the condition for removal/ disposal of waste in the city and local areas. Are you able to use your research work into practice? I've introduced the membrane bioreactors device from Germany. This device helps multiply microorganisms adapt to excrement, and performs dual filtering with micro filters to purifies 99 percent of waste water. At the moment, our team has purified 80 to 87 percent of waste out of water through standard trial tests. Membrane bioreactors device can be used for cleaning toilet seats, green facilities, water fountains, and cars. Can water cleaned with this device be used for drinking purposes? Mongolia hasn't got a standard that enables us to use processed gray and black water for drinking. Scientists at the MUST are working towards establishing these standards in Mongolia. Have you tried drinking purified water from this device? Director of the producer company verified that water cleaned with membrane bioreactors device is safe to drink and can be used for drinking purposes. Purified water from our team's trial test hasn't been drunk yet. Certain period of time is required since we're multiplying and adapting microorganisms that will decompose excretion. By the end of spring, we'll be able to completely purify waste water. When that time comes, we'll be able to drink purified water tested by our team. January 22 (gogo.mn) City Governor E.Bat-Uul received Robert Schoellhammer, Country Director and Ayumi Konishi, Director General of East Asia Department, Asian Development Bank (ADB) and discussed on further cooperation. City Governor said: "We are pleased to cooperate on partnership between government and private sectors with Asian Development Bank. The crisis reminded Government to support and cooperate with private sectors. By cooperating with private sectors, city will develop more and contribute to economic stability. We are planning to establish corporation in accordance with partnership between government and private sectors. We need technical support from ADB on establishment of corporation." Ayumi Konishi, Director General of East Asia Department replied: "I appreciate on welcoming us. It is pleasure to say that we will cooperate with flexible conditions on investment in city development. We will cooperate on smart expenditure of investment that is dedicated to development." January 22 (UB Post) All state-run organizations, schools, and kindergartens in Ulaanbaatar will start their operations with revised schedules starting next Monday, following the Ulaanbaatar City Mayor's Office initiative to reduce traffic congestion during business hours on weekdays. Starting from January 26, public organizations and government agencies will open at 9:00 a.m., Ulaanbaatar city administration and affiliate agencies will start work at 8:30 a.m., kindergartens will open at 8:00 a.m., while universities and institutes will have their first classes between 9:00 a.m. and 11:00 a.m. A final decision on their opening hours will be made after university administrators come to an agreement on the change. A total of 1.2 million people live in Ulaanbaatar and 27 percent of them work for private businesses with the same business hours as public services. Twenty-two percent of residents are children studying in general education schools and kindergartens, 14 percent study in universities, while seven percent work for public organizations. Approximately 70 percent of Ulaanbaatar's population, or 848,932 people, are on the roads between 7:00 and 8:00 a.m. – all at the same time, which clogs the city's roads and slows down traffic, reported the Traffic Police Department. City residents complain that traffic congestion reaches its peak during the opening and closing hours of public service organizations, from around 8:00 a.m. and 5:00 p.m. every day, which makes cars and buses spend an additional 30 minutes to one hour – on average, on the road. Currently, ministry, agency, and public service offices open at 8:00 a.m. and close at 5:00 p.m. General education schools and kindergartens start the school day at 8:00 a.m., while universities begin classes at 9:00 a.m. on weekdays, according to a government decision made in 2012. Prime Minister Ch.Saikhanbileg transferred the government's right to revise the working hours of public organizations to Ulaanbaatar City Mayor E.Bat-Uul, following a proposal from the Ulaanbaatar City Council in December, 2014. Mayor E.Bat-Uul will issue the ordinance to revise the opening hours and officially announce them on Friday. January 22 (UB Post) A new kindergarten opened this week in 19th khoroo of Bayangol District, through a joint cooperation of the government and residents. The kindergarten's construction started immediately after the garages were relieved and it was completed in eight months with a grant aid from the World Bank. January 21 (gogo.mn) Construction companies invest around MNT 2 trillion annually in housing. State budget allocates MNT 170 billion around 5 percent and Capital city budget allocates only MNT 70 billion in construction sector. State Housing Corporation is planning to receive 2,595 housings in 2015, where it targets the same market as elders, young families, residents with disabilities and low-income households. Residents are sure to be included in the 8% mortgage loans. The establishment of the Capital city Housing Corporation directs its activities towards Ger Area Redevelopment and the residents are sure to be included in 8% mortgage loan program as well. This in turn raises worries if private construction companies are to be left outside the possibilities to be included in the 8% mortgage loan program. As Mayor E.Bat-Uul concerned over the plunging sales of the housings and warns of the potential distressed construction sites. Moreover, the question whether UB city is to continue to construct 9-15 storey apartments or to focus more on private house constructions. Mongolian Banking Association sees more attractive to focus more on private houses and suggests new financing tools as 9% mortgage loans. The idea in turn can serve as solution for many problems that UB city is facing starting with fighting with smoke. As they see, although state tries to accommodate Ger Area residents into housings there are another migrants to occupy the freed Ger Area. In this regard, some suggest investing in infrastructure to current ger Areas and support the households to build houses, therefore reducing the expansion of Ger Areas. In addition, according to the survey there are 54,000 residents in Ger Area able to make the monthly payments for the housing. January 21 (gogo.mn) By the order of PM, working group which is to research on buildings that can be transformed into children hospital and to conduct professional expertise, had established. The Working Group conducted research on several buildings and reported their professional expertise. Unfortunately, most of buildings were not suitable for children`s hospital. The Minister of Finance assigned the Minister of Health and Sport to start the auction of 10th Government building with its land and to start the construction of Children Hospital expansion by revenues from auction. G.Shiilegdamba, the Minister of Health and Sport, said that State Property Committee has organising the auction in accordance with regulation. Revenue from auction will be directly funded to increase the number of beds in National Center for Maternal and Child Health and Children Hospital of Bayangol District. Moreover, the Ministry of Health and Sport estimated the budget on expansion of Children Hospital and increasing the number of beds in National Center for Maternal and Child Health and Children Hospital of Bayangol District and introduced to the PM. Ulaanbaatar, January 22 (MONTSAME) The Minister of Mining R.Jigjid ran meetings with four Ambassadors to Mongolia. He received I.K.Azizov, the Russian Ambassador, Wang Xiaolong, the Chinese Ambassador, Christopher Charles Stuart, the Ambassador of the UK, and Shimizu Takenori, the Ambassador of Japan. The Minister exchanged opinions with the Ambassadors on developing mutually beneficial cooperation in frames of the bilateral and multilateral mining collaboration, on the opportunities to realize joint projects and programs of mutual interest, and on increasing investments. The Minister gave detailed information on Mongolia's legal environment in mining, geology and oil sectors. He said that a favorable environment has been created for forming sustainable, transparent and accountable mining sphere thanks to the related laws adopted in 2014, which facilitated Mongolia with a definite policy in the sphere of mineral resources. Mr Jigjid also said that his Ministry is focusing on the immediate and efficient implementation of laws and regulations, on commencing of the license issuance, on attracting foreign investments, as well on providing the investors with adequate information. Ulaanbaatar, January 21 (MONTSAME) On Tuesday, the Minister of Defense Ts.Tsolmon received the French Ambassador Mr Yves Delaunay and Japan's Ambassador Shimizu Takenori to discuss the cooperation in defense sphere and its development. At the meeting with Mr Delaunay, the Minister expressed his heartfelt condolences for the deaths of French nationals in terrorist operations. After this, the sides discussed joint defense works on the sidelines of the marking of the 50th anniversary of the diplomatic relations between the two countries, happening this year. At the meeting with Mr Takenori, the Minister noted that the defense relations have been maintaining a significance in the ties between Mongolia and Japan, and expressed his interest in upgrading the current level of this cooperation. The dignitaries also exchanged opinions on the further cooperation. The Ministries of defense of Mongolia and Japan signed a Memorandum of understanding in 2012 that intensified the development of the defense cooperation. In specific, the MoU improved the all-level interactions and visits, information sharing on the regional security, organizing of consultative meetings, and cooperation in military cadres' trainings, engineering and military medicine. January 21 (gogo.mn) Minister of Health and Sports G.Shiilegdamba received Mr Christopher Charles Stuart Ambassador of Great Britain. Great Britain was one of the supporters of Democratic changes in Mongolia and was one of the main partners in social and especially in health sector, implementing multiple projects and programs. Ambassador emphasized on projects and programs directed at health sector development In Mongolia for the past 2.5 years. In frame of this cooperation, studies have been conducted at projects to be implemented in Mental Health in Mongolia. Moreover, Ambassador noted on the upcoming seminar on Eco Projects to promote the Environmentally friendly projects to be held on 5th of February. Minister G.Shiilegdamba noted on the importance of the joint projects and programs in Health Sector and ensured the full cooperation for the best outcomes. Ambassador Stuart also intorduced on the potential cooperation in Sports as well such as exchange programs of the athletes and more. Ulaanbaatar, January 21 (MONTSAME) Mongolia's Minister of Foreign Affairs L.Purevsuren on Tuesday made the opening remarks at this year's first meeting of the Security Cooperation Forum of the Organization for Security and Co-operation in Europe (OSCE). In Vienna of Austria, the OSCE Forum on security cooperation is being chaired by Mongolia. In his remarks, Mr Purevsuren presented the priorities Mongolia is adhering to in its leadership, saying that the forum will consider issues of tackling the Ukraine crisis in a peaceful way, combating the international terrorism, and a non-proliferation of nuclear and mass destruction weapons. The forum's actions will also include a celebration of the 70th anniversaries of the end of the Second World War II, atomic bombings of Hiroshima and Nagasaki, an establishment of the United Nations, and 40th anniversary of the approval of the Helsinki Final Act, a key document of the OSCE, he said. Noting that Mongolia wants to focus on the cooperation with its Asian partner countries, the Foreign Minister said Mongolia launched the Ulaanbaatar Dialogue initiative on the security in Northeast Asia, and hoped that the 40-year experience and lessons of the OSCE will contribute to these matters. At the meeting, the delegates congratulated Mongolia on chairing the OSCE Forum and said they will collaborate with Mongolia in it. The OSCE Security Cooperation Forum is a key unit of the OSCE for considering security issues through military and political directions. Mongolia will lead the Forum until April of this year. January 2015 (Brookings Institution) 2014 was a relatively friendless year for the Democratic Republic of Korea (DPRK or North Korea). It publicly lost its best friend and patron, China, to its erstwhile nemesis, the Republic of Korea (ROK or South Korea), when Presidents Park Geun-hye and Xi Jinping celebrated their growing friendship at the July summit in Seoul. Recently, retired PLA General Wang Hongguang wrote in the Chinese language site of Global Times, which is closely linked to the Chinese Communist Party, that China tired of cleaning up North Korea's "mess" and would not step in to "save" North Korea if it collapses or starts a war. And there is a vigorous debate in Beijing on whether the DPRK should be treated on a "normal" basis with China's interests as the sole guide and purpose or be treated as a special case needing China's indulgence and protection. Since the Sony hack of November, North Korea has been under tighter scrutiny, both real and virtual, by Seoul, Beijing and Washington, accompanied by tighter sanctions in the new year. Bludgeoned by global condemnation of its atrocious human rights record, Pyongyang's pariah status has intensified. Only Russia has been warming up to North Korea out of its own economic and political self-interest. Is there any sizable country with good intentions for the region that is not giving up or beating up on North Korea? Is there any country Pyongyang likes and possibly even trusts? Mongolia stands out as the sole candidate, and it is friendly with both the East and the West. Since the 2000s, Mongolia has played an increasingly constructive and steady role in in its bilateral ties with the DPRK and in its promotion of peace and cooperation in Northeast Asia. President Tsakhiagiin Elbegdorj, who visited Pyongyang in 2013, was the first head of state to reach out to the DPRK since Kim Jung Un assumed power and helped author the "Ulaanbaatar Dialogue on Northeast Asia Security," which held its first meeting in June, 2014. It is a unique forum that combines official (track one) and unofficial academic/think tank/NGO (track two) participants, on a variety of important regional issues. The goals are to decrease distrust among nations and increase cooperation and peace. Both the DPRK and the ROK (Republic of Korea or South Korea) were represented at the inaugural meeting, as were the United States, China, Russia, Japan, and some European nations. The UB Dialogue, as a consultative mechanism, has the potential to bring together policymakers, international organizations such as the United Nations Economic and Social Commission for Asia and the Pacific (ESCAP), and civil society entities and facilitate a range of initiatives related to economic cooperation; military transparency; environmental issues; non-traditional security threats; regional stability, cultural and educational exchange among the participants, including the two Koreas. These are official agenda items and goals of the UB Dialogue. With the Six-Party Talks nearly defunct and inter-Korean relations unable to address regional issues that affect the peninsula, Mongolia may be able to serve as a "Geneva or Helsinki of the East" as some observers have suggested. Mongolia is uniquely positioned as the only country in Northeast Asia that enjoys good relations not only with North Korea but also South Korea, the United States, China, Russia, and Japan. Mongolia' relations with the United States, Canada, and Western Europe have steadily improved and deepened since the late 1980s. In recent decades, both Democratic and Republication administrations in Washington have enjoyed mutually warm and collaborative relations with Mongolia. President George W. Bush was the first sitting U.S. president to visit the country in 2005; he thanked the Mongolians for sending troops to join U.S.-led forces in Iraq and Afghanistan and for supporting anti-terrorism initiatives. Former Secretary of Defense Donald Rumsfeld also visited in the same year. In 2007, President Nambaryn Enkhbayar visited Washington to co-sign the Millennium Challenge Corporation Compact with President Bush. The next (and current) leader, President Elbegdorj, met U.S. President Barack Obama at the White House in 2011, as did the first civilian Minister of Defense, L. Bold. Vice President Joe Biden included Mongolia on a three-country Asia visit in August, 2011; China and Japan were the other two. A year later, Secretary of State Hilary Clinton took her turn in Ulaanbaatar. The most recent visit by top-level U.S. officials to Mongolia was by Secretary of Defense Chuck Hagel in April 2014. Mongolia's pursuit of the "third neighbor" policy allows the country to develop cooperative relations with the United States, Western Europe, ASEAN nations and others partly as "an air pocket" from its economic and security reliance on Beijing and Moscow. The softer side of this diplomatic push has been demonstrated by Ulaanbaatar's membership in the Organization for Security and Cooperation in Europe and its previous chairmanship of the Community on Democracies." Western experts on Mongolia applaud the way the country has developed a unique "peacekeeping niche" that facilitates participation in UN peacekeeping activities, international anti-terrorism measures, and humanitarian actions. For its small population of about three million, Mongolia takes on a heavy load of peacekeeping activities, ranking 26th on the UN's list of contributing nations. Since 2003, Mongolia annually hosts the "Khaan Quest" peacekeeping exercises for the purpose of tactical advancement and capacity building for its Mongolian Armed Forces (MAF) and for the improvement of regional confidence building. Although the United States and NATO play prominent roles, the Quest has attracted more diverse participants over the years so that by 2012, the number of interested parties expanded to include representatives from China and India as well as an array of developing nations such as Vietnam and Cambodia. These exercises are acknowledged as gatherings devoted to strengthening international cooperation and interoperability on peacekeeping initiatives around the world. On the economic side, Mongolia has been diversifying its external relations, with the maintenance of sovereignty and the related desire to reduce its overwhelming dependence on China as important goals. Expansion of economic relations is driven in part by a desire to participate in and benefit from global standards investment funds, and market access is a national priority. In that context, Mongolia's relations with the West have been constructive and collaborative. For example, in 2013, the United States Trade Representative Michael Froman and Mongolia's Minister for Foreign Affairs, Luvsanvandan Bold, signed the Agreement on Transparency in Matters Related to International Trade and Investment between the United States of America and Mongolia. The Agreement commits the parties to provide opportunities for public comment on proposed laws and regulations and to publish final laws and regulations in Mongolian and English in order to facilitate access, openness, fairness, and procedural coherence in international trade and investment between Mongolia and other countries. "Additional commitments address the application of disciplines on bribery and corruption." This type of administrative and legal modernization and the incorporation of measures to prevent and correct corruption are exemplary measures that could be helpful to the DPRK and other countries that are unfamiliar with or lagging in appropriate frameworks for doing business with diverse international actors. China and Russia have vied for influence over Mongolia for many decades, from the time when Mongolia was in the Soviet sphere in influence to the present. Although 89 percent of foreign trade in 2013 was with China and Russia provides about 75 percent of Mongolia's gasoline and diesel fuel and much of its electricity, Ulaanbaatar is assertively broadening and deepening its economic interests with the two big neighbors, especially greater transportation access and cheaper costs (vital to the landlocked nation), participation in the development of the New Silk Road corridor, and the construction of a Russian oil and gas pipeline through Mongolia that reaches China. All three countries have mutual interests and investments in developing Mongolia's well-endowed mining industry. But being sandwiched between two giants means Mongolia has to be prudent in preserving its sovereignty and independence, and Ulaanbaatar has done so in practical ways, balancing the two large powers' interests with its own. The 2010 National Security Concept's "One-Third Clause" sets a clear limit on the proportion of foreign direct investment from any one country: one-third. Legislation limits (foreign) state-owned companies from gaining control of strategic assets. And as numerous bilateral security and military cooperation agreements link Mongolia with China and Russia, UB has strategically and legally created elbow room for its autonomy. The government's National Security and Foreign Policy Concepts outline a specific policy of not allowing foreign troops the use of its territory. Such preservationist measures to maintain sovereignty and independence in economic and security terms would be welcome examples to a North Korea which zealously prioritizes national sovereignty. January 22 (UB Post) Mongolia is eagerly awaiting its three millionth citizen. A worried looking man asks a nurse repeatedly whether his wife gave birth, outside a registration window at the Maternity Hospital. Another man standing by him asks whether it's his first child, and tells him to think positively and he might just become the father of Mongolia's three millionth citizen. The National Statistical Office announced that the three millionth citizen of Mongolia will be born between January 21 and 26. It isn't yet clear exactly when the child will be born, but officials assure us that it will be announced swiftly after the birth. A reporting team has been assigned to the State Maternity Hospital No.2 to await the birth of the three millionth citizen of Mongolia. At the hospital, the nurse at reception was giving some advice to families and women who were awaiting the birth of their children. Some women were even crying with labor pains, while some people were calling their families and friends to share their news gleefully. "Registration programs were installed on January 18 at all maternity hospitals, including four private hospitals. We are informing the National Statistical Office every twelve hours to notify them about women who gave birth. We set the clocks according to the Agency of Standardization and Meteorology and some rooms are equipped with cameras. When a woman gives birth, we will announce the time of birth audibly and all these processes will be recorded on camera. The three millionth citizen will be made clear only after the National Statistical Office collects all the information and data of birth registrations in Ulaanbaatar, rural areas, and abroad, as well as the information of people who passed away. 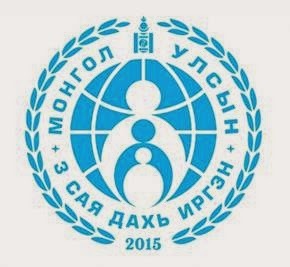 The official announcement of the birth of the three millionth citizen will be made three or four days after the child's birth," said statistics specialist at State Maternity Hospital No.2 R.Lkhagvasuren. Employees of maternity hospitals must register the name, address, date, and precise time of birth. The electronic clocks that they use daily, have been deemed too inconsistent, so the Agency of Standardization and Meteorology reminded maternity hospitals to use an astronomical clock to register the three millionth citizen. By visiting the website time.icttime.mn, hospital staff can activate the astronomical clock on their computers and electronic clocks. State Maternity Hospital No.2 set up astronomical clocks all around their hospital. The government promised 70 million MNT to the three millionth citizen of Mongolia, and 250 children born on the same day will receive three million MNT. Accordingly, women who are expected to deliver this month all hope to give birth to the three millionth citizen of Mongolia. A mother who recently gave birth said that she and other pregnant women have been under pressure by family members and friends to give birth to the three millionth citizen and make history, in relation to the monetary reward. "To give birth to Mongolia's three millionth citizen is, of course, a historic occasion and every woman wants it. But it is a natural thing. Some people see it as a way to make money and receive grants from the state. But when women start to feel labor pain, it won't matter that much. In my case, I just want to give birth immediately," said a woman who lives in Songinokhairkhan District's 30th khoroo. G.Gerelmaa, who gave birth three days ago, said, "When I was in my fourth month of pregnancy, I heard about the three millionth citizen. Some families were even planning for that. I was thinking of becoming the mother of the three millionth citizen, however, I gave birth to my daughter three days ago. The three millionth citizen might have been born earlier. Maybe authorities are waiting to give the money to their relatives. We really don't know." Rumors that the birth rate has increased since the announcement of the three millionth citizen awards, or that pregnant women are undergoing surgery to be written in history are all false, said R.Lkhagvasuren at State Maternity Hospital No.2. Ulaanbaatar, January 27 (MONTSAME) Such a discussion ran January 27 at the State House. The opening remarks were given by a head of the Standing committee on social policy, education, culture and sciences D.Battsogt MP. In Mongolia, liver diseases are the second major cause of death after cardiovascular diseases, he noted. "In order to run early diagnose of hepatitis, works must be forwarded such as running hepatitis tests, registering and treating patients suffering from hepatitis, training and awareness raising. The increased cases of hepatitis is caused by inadequate hygiene of blood supplements and medical equipment, so we should make all possible efforts to eliminate those transmitting factors," he added and said the discussion is to address the means of reducing the liver diseases, prevention, and further actions. Introductions were made by the Minister of Health and Sports G.Shiilegdamba on measures taken by the Government for reducing liver diseases in frames of the impelementation of "Healthy Mongolian" action plan. The permanent representative of the Wold Health Organization (WHO) to Mongolia Dr Soo Nyunt-U said Mongolia is leading the global fight against Hepatitis. Executive director of the National Center for Infectious Diseases Studies Dr D.Nyamkhuu and the executive director of the National Center of Oncology Dr D.Tomorbaatar gave separate presentations themed "Measures taken for combating and preventing hepatitis, further actions". Present at the event were also G.Bayarsaikhan and S.Odontuya MPs, together with representatives of related healthcare organizations. Statistics say there are 750 thousand people in Mongolia recorded to be suffering from chronic level of Hepatitis (from Hep-B –300 thousand, from Hep-C–450 thousand). On international level, a number of deaths in Mongolia caused by liver infections exceed the global average eight times. Ulaanbaatar, January 22 (MONTSAME) The National Statistical Committee (NSO) has reported that the number of families with six or more members reached 69.2 thousand in 2014, increasing by 2,522 members or 3.8%. The number of families with four or above members aged up to 18 years old reached 40.3 thousand, increasing 2,914 or 7.8%, whereas the number of single people was 27.1 thousand, declining by 556 or 2.0% in the previous year against 2013. 8,300 or 30.5% of them are aged 60 years old men; and 18.8 thousand or 69.5% of them are 55 years old women. Ulaanbaatar, January 22 (MONTSAME) The number of orphans was 39.0 thousand last year nationwide, and 4,000 or 10.2% of them are half orphans, the National Statistical Committee has reported. The number of orphans declined by 112 or 2.7%, and the number of half orphans decreased by 408 or 1.2% in the previous year against 2013. 4,200 or 10.9% of the orphans aged 0-4 years old, 8,400 or 21.5% of them--5-9 years old, 13 thousand or 33.3%--10-14 years old, 4,800 or 12.3%--15 years old, 4,400 or 11.3%--16 years old, and 4,200 or 10.7%--17 years old. "Future of Mongolia is not just mining. Instead I believe our future is dependent on educated, intelligent and multifaceted youth". I want to proudly introduce those talented and educated young professionals to others. We are delivering the next episode of the Inspired by Zaya talk show hosted entirely in English language, encouraging and inspiring the future of Mongolia to commit to learning English language and enhance possibilities in life. This episode features M.Ichinnorov, one of the profound Human Rights Attorneys in Mongolia. She has become one of the strong voices in our society. She is the Human Rights Attorney and she shared with us valuable thoughts. Attorney M.Ichinnorov worked as the Guest Researcher at JFK School at Harvard, completed her master's degree in International Human Rights at Washington University. For the full episode please click here.